Aisi Hai Tanhai episode 11 & 12 review: The truth will break your heart! Each time you tune into this play, it gives you goosebumps for its intensity and its closeness to reality. Pakeezah's struggle, Kinza's hatred, Hamza's efforts, each and everything has been beautifully scripted into Aisi Hai Tanhai that it becomes hard to detach yourself and not feel for these characters and their pain. Each time Kinza ignores Hamza, it gives you the feeling that this drama is not your average story where the girl will eventually melt and fall in love with the boy, when she sees how much he cares for everything. Aisi Hai Tanhai is a story that speaks of truth and the reeks of the pathetic truths of this society. Eversince Pakeezah's mother left her in the hospital, Dr. Saad has taken over her responsibility. He finally coaxes her to tell him the truth and when she does, he feels sad for her even more because his life is going through the same ups and downs. Pakeezah on realizing his side of the story now knows why he fought for her as well but what she doesn't know is the fact that the sweeper at the hospital has destroyed her life even further, a hint of which we found out in the upcoming episode's promo. Also the introduction of Saad's Api, (played by Fazila Qazi) is a new addition to the cast. We'll need to know more about her character and what part she will play in Pakeezah's life with time. On the other hand, Hamza's difficulties just don't end. Kinza has made life bitter and more harsh for him than he could ever imagine. He continues to try and adjust to his new life and provide for Kinza, at the same time taking care of her mother as well. But Kinza will not melt. She is trying her best to get justice for Pakeezah and has now also gone ahead to file an FIR against whatever happened with her. Amongst ups and downs, each and every character is currently trying to adjust to the changes and challenges that life has thrown their way. Badar Mehmood's direction and Mohsin Ali's story deserves a standing ovation for this hair raiser of a play. Pakeezah's story can ring true for any girl in the era of social media; thus the lessons the drama is imparting is very valuable. Even though Pakeezah had Hamza by her side, a boy who loved her more than anything, she still had to face the burden of her mistake alone. Nothing could have saved her. We're rather anticipating the end of this drama because we really want to find out if Pakeezah will emerge from all this and how will she rise above the mentality of this society, if she ever will. 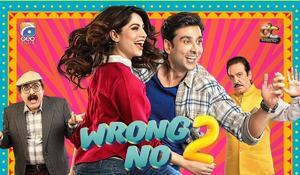 Sami Khan, Nadia Khan and Sonya Hussyn are the definite stars of the show. We also like how Kamran Jeelani is portraying his character. The layers to Dr. Saad will take time to open but the way Kamran is playing the role, is commendable. Sami Khan is intense and so is Sonya Hussyn as Pakeezah. The scenes where she explained to Dr. Saad about her plight were excellent, with Sonya breathing soul in Pakeezah's character. Kudos to Badar Mehmood for having extracted such brilliant performances from the cast and giving us goosebumps, each time Pakeezah takes centre stage!